This patriotic USA flag star charm is a great way to show your American pride. This metal USA flag star charm is antique silver color. 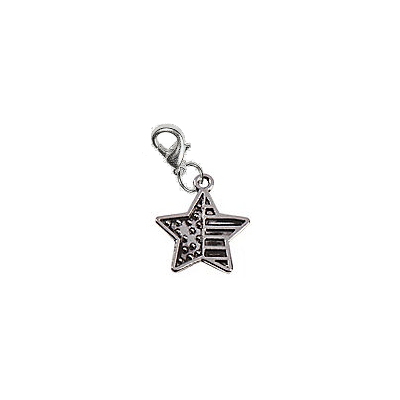 The USA flag star charm is 0.83" tall and comes with a lobster type clasp to attach the charm to your bowling shoes.